It is unknown why a purple rose is named a cardinal (still known for its red robes), but the name ‘Cardinal de Richelieu’ refers to Armand Jean de Plessis, Duke -and Cardinal- de Richelieu, born September 9, 1585 in Richelieu, France, who was also known as L’Éminence Rouge. The Cardinal served as minister under Louis XIII (1624-1642) and died in Paris on December 4, 1642. The name Cardinal de Richelieu is also well known from the movie The Three Musketeers by Alexandre Dumas. 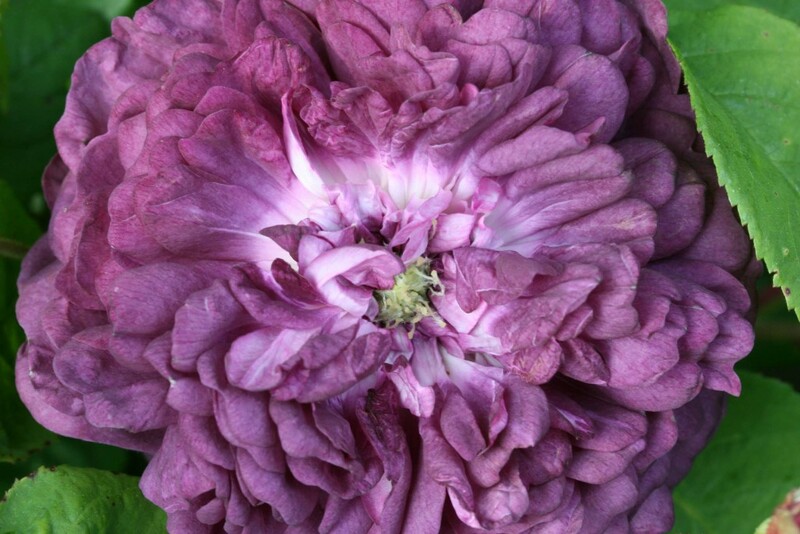 ‘Cardinal de Richelieu’ is probably a cross between R. gallica and a Chinese rose and, despite the fact that she is half Chinese, by appearance it is a Gallica. The flowers open reddish-purple and the short curved petals have an almost white underside. If curled, the contrast between the white and purple is particularly striking. As the flowers age they discolor to a mauve-ish gray/lilac. 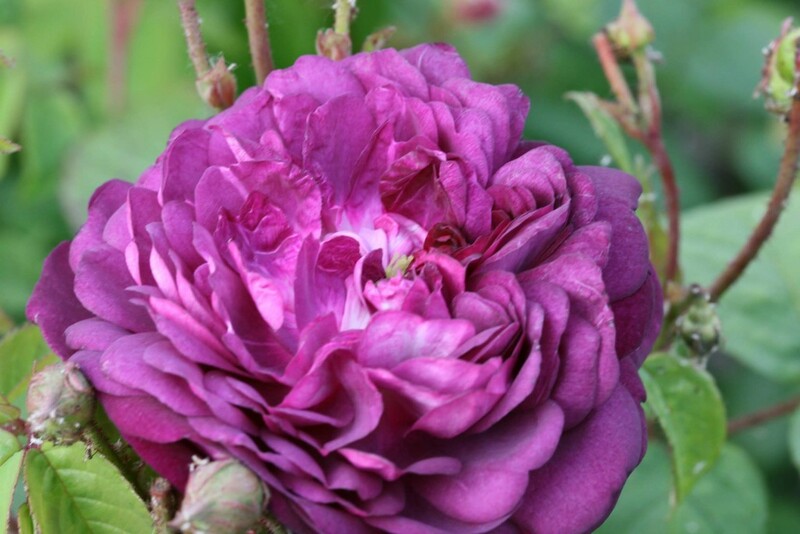 It is the most violet-colored rose, by Graham Stuart Thomas therefore appropriate described as “having the sumptuous bloom of a dark grape “. Height of 3′ to 6′ (90 to 185 cm). Width of 2′ to 3′ (60 to 90 cm). Iˇ¦m no longer positive where you’re getting your information, but good topic. I needs to spend some time learning much more or understanding more. Thanks for excellent info I was searching for this info for my mission. It is lovely to find your website. I grow a handful of old roses, but concentrating mainly on English Roses. It is great to find a resource like this that is not a supplier. I look forward to many more visits.